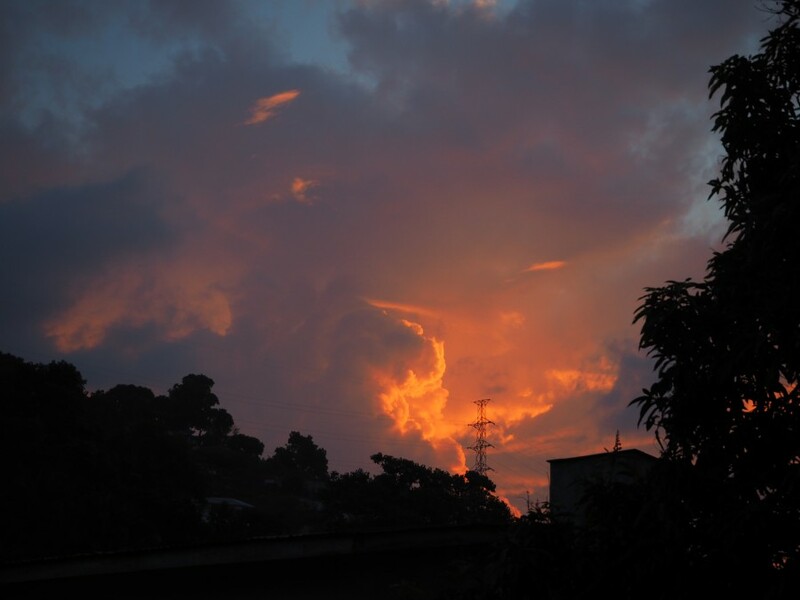 Freetown always gives good sunset. It is the start of the dry season in Sierra Leone, which, confusingly, makes the air feel wringing wet. * After a week holed up in an air-conditioned hotel room (working, not for fun) I levered myself out today for lunch at Lagoonda, whose spicy tuna salad is the food of the gods. I’m always surprised by quite how much of a difference proximity to the sea makes to a place: move Freetown 100 miles inland and it would lose around 80% of its charm, but as it is, it’s one of my favourite places I’ve ever been lucky enough to work. After lunch I met a friend and we went for a walk along Aberdeen Beach, watching a thousand football matches and boys conducting sprinting races and performing acrobatics in the sand and one unexpected rugby match. We bought digestive biscuits from a street-seller and ate them on a bench, and then hopscotched our way back across the city in a series of battered shared taxis. I’ve had To the End of the Land on my Kindle for over a year – I think I first downloaded it during Operation Protective Edge, when I was frantically searching for moderate Israeli voices to help me feel less entirely despairing about everything. I’d almost entirely forgotten about it until I was sat across the aisle from a pair of German women on my flight from Yangon to Heho, a couple of weeks ago, and one of them was reading it. Of course first I had to finish Carry On and then read Little Sister Death and Lois McMaster Bujold’s Gentleman Jole and the Red Queen and Stephen King’s The Bazaar of Bad Dreams (both authors I love; neither book is among their best work, sadly) and then make various half-hearted feints at a number of other books, BUT THEN I started this in earnest a few days ago and good lord, it is amazing. I have no idea why Grossman isn’t more celebrated in the Anglophone world (maybe he is and I’m just clueless) because so far (I’m about a third of the way in) this is thoughtful and evocative and intense and beautifully-written, the sort of book that I have to take numerous breaks from, because it is both dense and harrowing, but at the same time find hard to put down. *Not twelve hours after writing this I was awoken by a thunderstorm and a downpour, which goes to show how much I know about West African weather patterns.